Shades of light purple and a satin fabric pattern create a soft and youthful look for this Quinceanera thank you card. 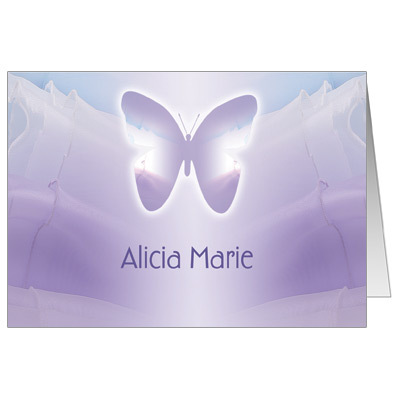 A shining butterfly hovers above, with your child's name printed below. Folded card measures 5x3.5.